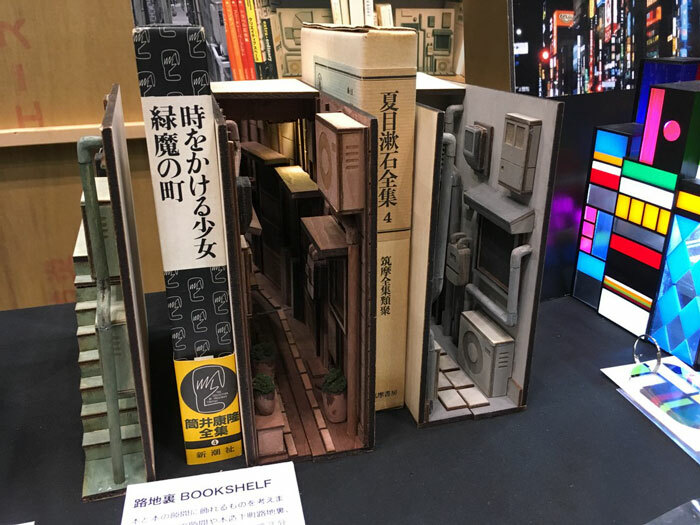 Tokyo based Japanese designer Monde designed an interesting series called “bookshelf dioramas“. 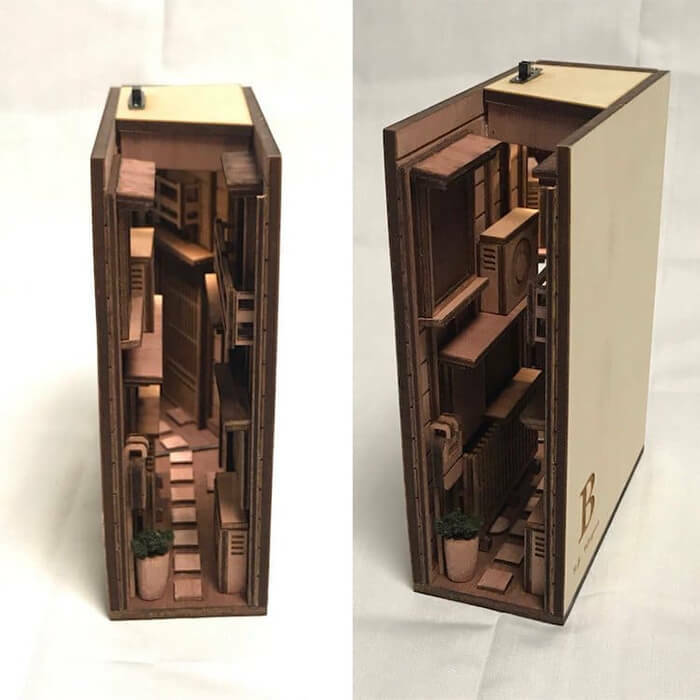 Monde’s “back alley bookshelves” are detailed replicas of the winding, narrow back alley’s of Japan, which can easily transform ordinary bookshelves into something magical and bring the feel of a Japanese back alley into your home. 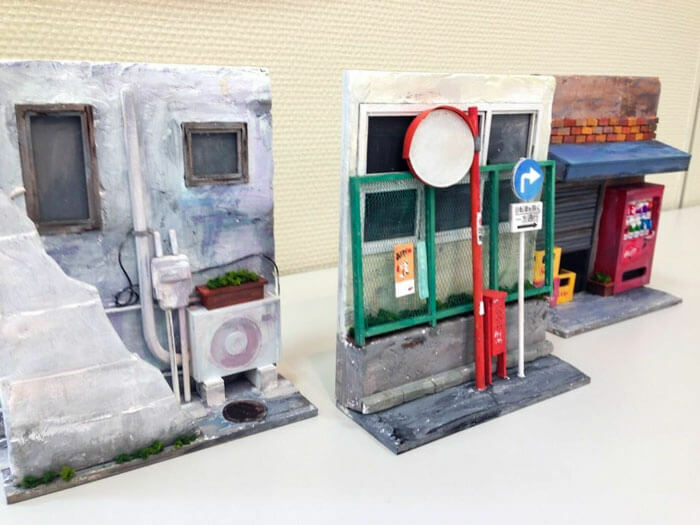 Monde has been working on the project for two years, using different materials to create the look and feel of the city. 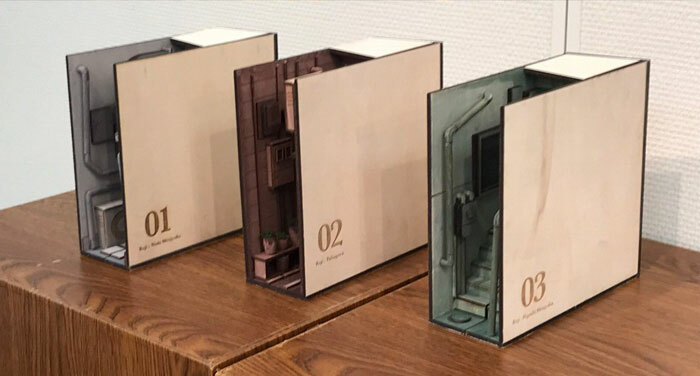 He’s even added lights to some models, which give a soft glow that emanates from the bookshelf. 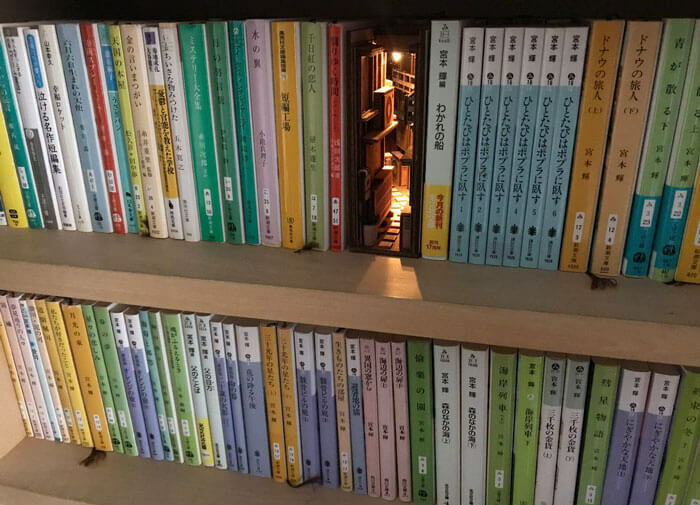 This newer model is also sized perfectly to sit between paperback novels. 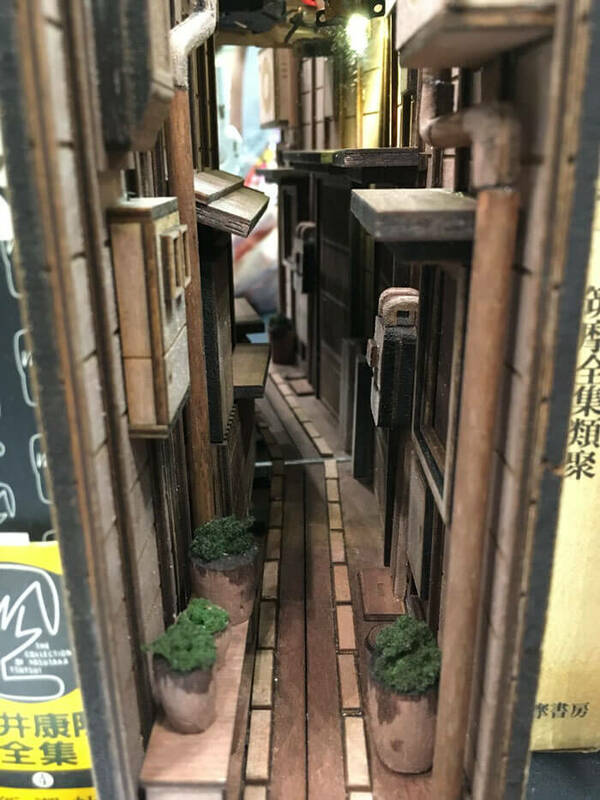 Monde’s magic bookshelves got quite a lot attention from the world and he starts to take order for customers who would like their own “back alley bookshelf.” It is said, the inquires can be made via DM on Twitter. But we have no idea how much it will cost neither whether it can be shipped place outside of Japan.